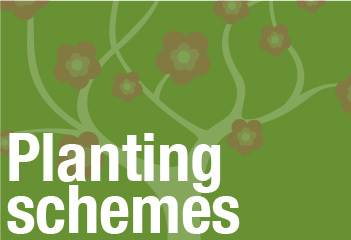 Planting schemes –A well thought out planting scheme can transform a garden. Plants will bring texture, colour and scent to your garden throughout the year, we will work with you to ensure that you get the right plants to suit you and suit your gardens needs. It may not be necessary to remove all of your plants and replace them, we may be able to enhance what you have by suggesting suitable additions. Equally we can provide a planting service for any area in your garden, even if you may see them as problem areas, slopes, shade or wet areas.